Not as stock-heavy: Everette Orr said the 35-year-old might want to go with a Vanguard target-date fund, but such funds are aggressive in how much they put into stocks. “If they’re really middle-of-the-road, then I would probably back them off,” said Orr, who runs McLean, Va.–based Orr Financial Planning. 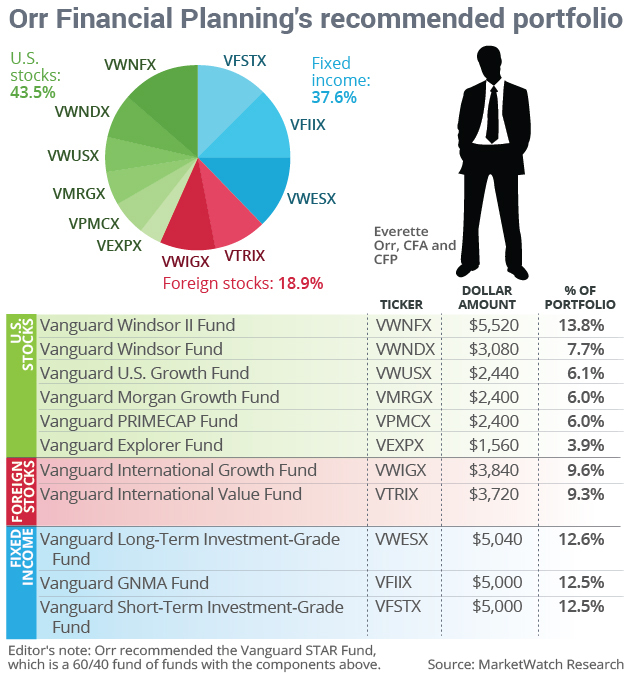 He would instead recommend the Vanguard STAR Fund VGSTX, +0.19% a fund of funds that is roughly 60% stocks and 40% bonds.